ASTM A193 specification covers Alloy Steel and Stainless Steel bolting material for Pressure Vessels, Flanges and Fittings for High Temperature or High Pressure Service, or other special purpose applications. Several Grades are covered, including Ferritic Steels and Austenitic Stainless Steels designated B5, B8, B8M and So forth. Selection will depend on design, service conditions, and mechanical properties, and high temperature characteristics. 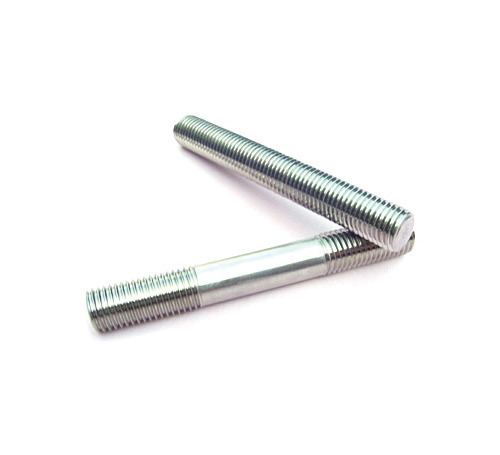 Material according to ASTM A193 B8 is often available in national coarse [UNC] thread pitches, if being used in traditional applications, threads are specified 8 thread per inch [TPI] for diameters above one inch. Below is a summary of a few of the common grades. ASTM A193, Grade B8 Class 2 Stainless Steel, AISI 304, carbide solution treated, Strain Hardened.